It can be incredibly difficult to adjust when a parent has been diagnosed with or is suffering from dementia or Alzheimer’s. Their behaviour is likely to change, they will begin to react to things differently, which, in turn, is bound to have an effect on your day-to-day life. However, even though the transition is not easy, there are things you can do to accept your parent’s diagnosis and make life easier for them and yourself. Grainne McCarthy, clinical lead at private care provider Elder (elder.org) gives her advice. Grainne advises that one of the first things you do if a parent has been diagnosed with dementia or Alzheimer’s is to find out as much information as possible about the condition. What stage are they at and what does it entail? What is the prognosis and are there any treatments or medications available? Knowing what you are up against can help you deal with the condition better, support your parent and make all the necessary adjustments quicker. If your parent is suffering from a memory degenerative disease, planning ahead is one of the steps you can take to make the transition easier for both yourself and your parent. The doctors might advise you to look into the power of attorney so that you can take charge of your parent’s finances and documents. You should also look into more mundane tasks, such as paying the bills – addressing administrative tasks earlier on will prevent you from worrying about them at later stages. You should also think about driving. Many people with dementia and Alzheimer’s are prevented from driving, so you should consider the different ways in which your parent can travel. 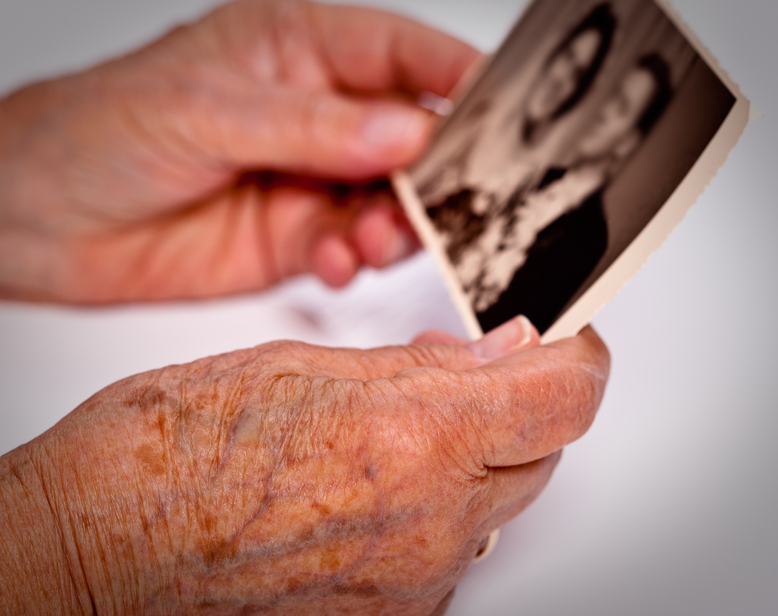 For many children, the first emotion they experience when a parent is diagnosed with dementia or Alzheimer’s is a feeling of anticipatory grief. Children will begin to pre-empt the things they and their parents will lose due to the condition – from memories, to independence and even personality changes. The best way to cope with this is to accept the feelings and not bottle them up. A survey by Alzheimer’s Society found that as many as 80 per cent of carers find it difficult to vocalise the impact caring has on their emotional well-being. Talk to your friends and loved ones and work through the different stages of grief as they occur. As your parent’s behaviour changes and the child/parent roles reverse, it is essential you maintain the positive nature of your relationship with your parent. Focus on your day-to-day interactions, rather than dwelling on the relationship and how it used to be, as that will prevent you from accepting the diagnosis and helping your parent. You should also consider the different ways in which the relationship can be helped and maintained – whether through reminiscence, art, music or life stories you and your parent can go through to aid communication. In fact, researchers at the University of Virginia found that music and singing boosts brain activity in individuals diagnosed with dementia and Alzheimer’s. One of the key emotions that will help you cope is patience. As difficult as it can be, you need to remember that the condition does not define your parent. For example, if they have forgotten a particular memory, there is no point in arguing about it with them – it will just cause upset to them and frustration for you. Instead, work on letting things go and focusing on the positives. Caregiving can take a toll on your health, both physical and mental, which is why it is essential that you don’t try and take on all the duties of care yourself. Get other members of your family involved as much as possible – not only will this ease your workload, but it is also good for the person suffering from dementia or Alzheimer’s, as spending time with more than one person is greatly beneficial. Make sure to keep talking to and seeking support from your social network, as that will help you work through your emotions and prevent you from experiencing too much mental strain. If you feel you are not coping then you shouldn’t be afraid to seek further assistance, either by talking to those going through a similar experience or looking into professional care services to help you. One worry that is never mentioned is the question of money. When the house is sold to pay for care the worry is will there be enough to cover the cost of the home for long enough. What will happen when the money runs out. The process of Dementia can last a very long time and it is a real worry whilst coping with the sadness that the disease causes family.